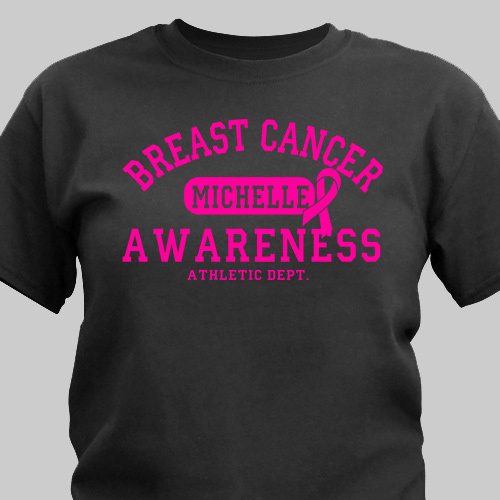 This breast cancer awareness t-shirt is one of our best sellers! 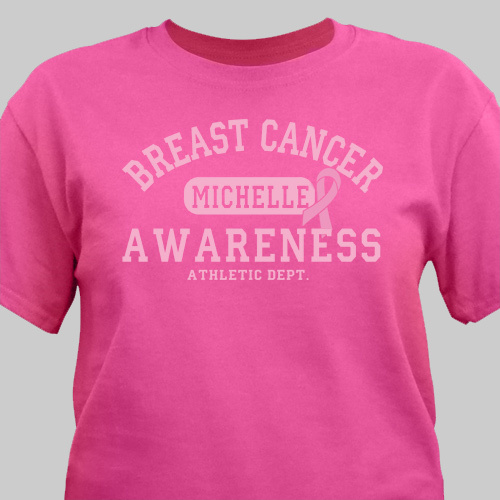 The perfect thing to wear on your next walk, you can easily personalize one of these pink Personalized T-Shirts and show off your passion for spreading breast cancer awareness. This Breast Cancer Awareness Athletic Dept. This Personalized Shirt is available on our premium 100% cotton T-Shirt & our 100% preshrunk cotton colored T-Shirts, machine washable in youth sizes XS-L & adult sizes S-3XL. Free personalization of any name is included." Gift for now did a great job of personalizing my time and it shipped very quickly. Very satisfied. on a dark shirt this came out beautiful! I love my shirt, and I love the message. Additional Details Give this personalized gift to any friend or family member who is participating in an upcoming event for breast cancer awareness month! 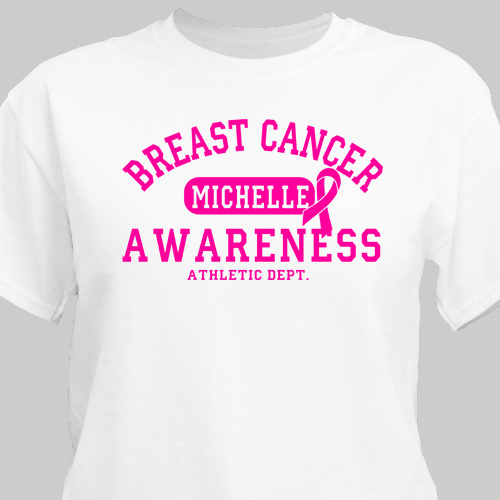 Our Fight Like a Champion Breast Cancer Awareness T-Shirt is another great option.